Like Camp David, the Oslo Accords were supposed to be an interim agreement. 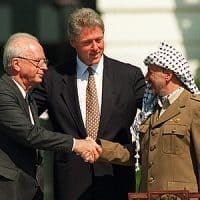 The main difference was that the final goal in Camp David was a “peace treaty between Israel and Jordan, taking into account the agreement reached in the final status of the West Bank and Gaza,” while the Oslo Accords aimed at a peace treaty with the Palestinians directly. Israel agreed to recognize the PLO as its partner in peace talks and to recognize Palestinian autonomy in the West Bank and Gaza Strip by beginning a withdrawal from the cities of Gaza and Jericho, essentially exchanging land for peace. The Palestinians in turn recognized Israel’s right to exist while also renouncing the use of terrorism and its long-held call for Israel’s destruction. Rabin and PLO Negotiator Mahmoud Abbas signed the Oslo Accords at the White House on September 13, 1994. Israel then concluded a separate peace treaty with Jordan, signed in October 1994. James A. Larocco served as Deputy Chief of Mission and Chargé d’Affaires in Tel Aviv from 1993-1996. He discusses the difficulties of trying to implement the critically important but overly generous aid programs, which the Territories simply could not absorb, and the frustration in dealing with Arafat’s cronyism, which undermined much of their work. He was interviewed by Charles Stuart Kennedy beginning in January 2011. Read about the negotiations behind the Camp David Accords, the road to the 1991 Madrid Conference, and the assassination of Yitzhak Rabin. Go here for other Moments on the Middle East. There have always been unofficial talks, often called “Track II talks,” to distinguish them from official talks, called Track I. Few of the Track II talks ever resulted in breakthroughs. Why should this be any different? The Oslo talks involved well-known individuals on both sides. They were dedicated to finding peace, but there was complete deniability to anything they said or pledged. They were empowered to a point, but no further. The seniority of the people on the Palestinian side was higher than the seniority of the Israeli side, which is normal because again for the Israelis they needed a greater degree of deniability, while the Palestinians needed a much higher degree of credibility to be taken seriously. The time was ripe for a breakthrough. [PLO leader Yassir] Arafat was essentially trapped in Tunis [site of PLO headquarters] with few prospects for breaking out of his treadmill there. 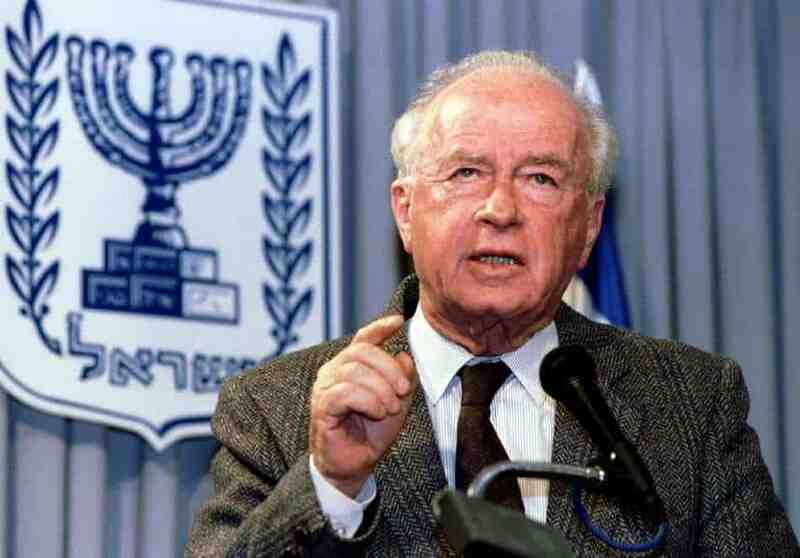 [Prime Minister of Israel Yitzhak] Rabin was ready to take risks for peace. As [former U.S. Ambassador to Israel] Ed Djerejian used to say, “The biology is right.” By this he meant that old leaders who have been through hard times have not only all the history in mind, the options in mind, the risk in mind, but also have the credibility of their people. They also are into legacy, and if they are to take the plunge, this would be it. That was partly a factor in the case of Rabin and Arafat. This was also the case between Rabin and [President of Syria] Hafez Al-Assad and I am convinced to this day that peace between Israel and Syria had a realistic chance in those days of success until Rabin was assassinated. So the agreement was pulled together by August of 1993 and brought to Rabin and Arafat for approval. They both agreed. Both sides knew that they needed a guarantor, and arbiter of sorts, someone to turn to, someone to implement, someone to blame. The U.S. was the only country capable of playing that role. That led directly to the famous handshakes on the White House lawn, awkward and difficult as they were…. There was so much work to do, and the peace team and all our bureaucracy swung into overdrive. Keep in mind this was a big change from Bush to Clinton. We hadn’t had a Democratic White House for a long time. You had 12 years since the time of Jimmy Carter. This was truly a whole new team that had come in…. It was an unprecedented team of powerful minds with enough energy to power a small city, maybe a large one. They were tireless, never short of ideas and determined to make this work…. Dennis [Ross, Middle East envoy], as I recall, was so foresighted in understanding the Israeli need, and I would even call it craving, for some kind of recognition in the region. The launch of the multilateral track involving Arms Control, Refugees, Economic Development and Cooperation, Water, and the Environment was truly far sighted. I always believed that having agreements on paper is necessary, but until you can translate those agreements into on-the-ground work — people-to-people, government-to-government, institution-to-institution — nothing will endure. In this case, neither Camp David nor Oslo had a real built-in mechanism to do this. At the same time, Oslo was simply a framework agreement. The meat had to be put on the bones, there was still a lot of equities to trample on and a lot of risks that both Rabin and Arafat had to take to make this thing happen. Only through U.S. leadership would this be possible. The White House had everyone’s back. And President Clinton always made that clear. That was truly important not only to the peace team, but to Rabin and Arafat as well. The peace team proved determined and tireless. I give them an enormous amount of credit for the success that was achieved. Clearly, the Oslo Agreement was full of holes and was more a vision and a framework than a real process. In the short run, it was problematic but successful. The long run is another story, still being played out. But one thing is clear: Oslo failed in achieving the kind of peace it promised…. I will never forget the occasion when Rabin informed [U.S. Ambassador to Israel] Bill Brown and me that Oslo had succeeded. We were in his office on a Thursday evening…. The lights were dim, he was in his t-shirt, drink and cigarette in hand, and we were just shooting the breeze. He then told us that agreement was reached in Oslo, and the Israeli Ambassador in Washington would be informing the White House shortly. All our lives would now change forever. There would be much work to do. Rabin was sincerely a man of peace and who came to this via his personal experiences with war. He was an Israeli patriot of the highest order…willing to take risks, but never if that would jeopardize the security of his country. Peace in his mind was precisely designed to enhance security in the long run. To him, it was not an option; it was the only answer. He told us that we shouldn’t think of this just as an Israeli-Palestinian agreement. He told us it was what should have happened after Camp David, but never did. These talks must be accompanied by efforts with Jordan, Syria and Lebanon. There would never be the peace and security the region needed without Israel being at peace with all its neighbors. Again, I give the peace team and President Clinton himself enormous credit for all the hard work that was done at this time. We at the embassy just facilitated visits back and forth and communications, in addition to our constant stream of reporting on the domestic political and economic situation in Israel. Otherwise, it was really the work of these guys that translated this agreement into a reality which, among other things, brought the return of Arafat, the establishment of the Palestinian Authority and a degree of self-governance that was a radical change for the Palestinian people. 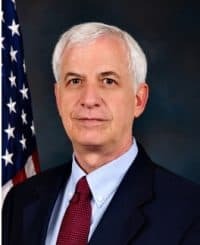 Q: The team of [Deputy Special Middle East Coordinator Aaron] Miller, [Dennis] Ross, [NSC Advisor and later Ambassador to Israel] Martin] Indyk and all — they were all Jewish and they were all, you might say, the established pro-Israeli group in Washington. Did you have the feeling they were really sincere and trying to give the Palestinians self-rule? LAROCCO: Their sincerity, their commitment to peace was without question. This was not a game; this was the real thing. The members of the peace team had a commitment to peace in their soul that I must confess I never had. I was a professional diplomat, sworn to uphold our policy, and I considered the peace process as essential to regional security and conflict prevention. But I was not going to live or die based on the vagaries of the peace process or lack thereof. I believed that U.S. interests could be sustained without a comprehensive peace, and that belief has been borne out through history…. At the end of the day, the parties themselves must be the true crafters of an agreement and be willing not just to sell it to their people, but to carry it out and be vigilant in enforcing the terms…. There were some who felt the peace team leaned too far in favor of the Israelis. If one kept in mind that it was essential to keep the trust of the Israelis every step of the way, these might have viewed the peace process and how it was carried out differently. This was tough going, to be sure, and the peace team was tireless. Rabin was prepared to take historic risks, and it is was essential to stand with him, support him and make clear to one and all that we would do our best to minimize those risks. History will judge what mistakes were made, and peace team members have already provided their views on what went right and what went wrong. But I believe that in those years, 1993-1996, they gave it their best shot, and I will always admire them for that. At the end of the day, as [Secretary of State] James Baker used to say, we can’t want peace more than the parties themselves. Ultimately, no matter what we did, the substance of the peace was in their hands, not ours. Just like in my days in Cairo in the aftermath of Camp David, there was a rush in the aftermath of Oslo to do aid projects in Gaza and the West Bank. This was at times just as painful as those days in Cairo, as the push for projects often conflicted with either the absorption capacity, the need, or the priority. For example, Washington wanted to build high-rise buildings in Gaza. They were high visibility, Washington argued, so let’s move on it. They will be a visible symbol to all that America cares. To many of us who knew the situation, this was terribly misguided, but it was not unethical. There is a big difference. I did oppose that decision but did not take a firm stand the way I did regarding the transfer of money for the police. In the end, it was not a symbol that America cared. Instead it was a symbol of American support for Arafat’s cronyism. There was never a transparent process on who would occupy the apartments, and we got what we should have expected: Arafat picked them, and they were cronies. Common people felt betrayed. 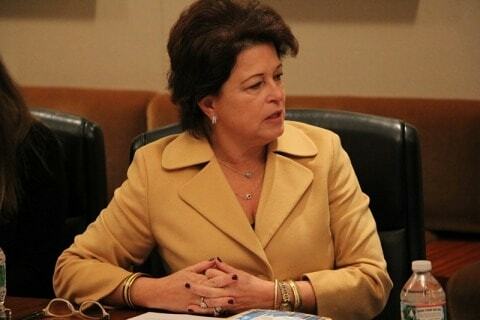 Our misguided AID [Agency for International Development] program was corrected through the tough leadership and hard work of [Deputy Assistant Secretary of Near Eastern Affairs] Toni Verstandig. I had enormous respect for how hard she studied the needs of the common Gazans and reshaped the AID program to fit those needs. She listened when I described the sorry state of our AID program and flew out to see for herself. And we did. It was an enormous success. We would tease Toni by calling the cesspool “Lake Verstandig.” After it was drained and the entire water system upgraded, the incidence of disease went from high to nothing, and the people in the community were truly grateful for what we had done…. Regardless of the project, we ended up never transferring money directly to the Palestinian Authority. There simply was not sufficient accountability. Arafat continually groused about this, but we had no choice. Our laws were clear and we would abide by them with no exceptions. So money went through a variety of institutions, contractors, suppliers, whatever. They got the money; they produced the product or service. We always had full accountability, even if the project was a poorly done or the end result, as in the housing project in Gaza, was a disappointment. We dealt only with NGOs with a proven track record that we could trust. Once again, we allowed no wiggle room. Always the U.S. government has had a tenuous relationship with NGOs. I have explained this to people by noting that NGOs are values-based, mission-oriented. They have values and they will follow them no matter what. They don’t have to compromise. They are there to help children or to advance women’s rights or whatever. That is their basis for existing. That’s how they raise funds. They are values-based organizations so they see no need to compromise on political issues or interests…. In the rush to demonstrate our support for the peace, all kinds of money, significant money was pledged, not just by us, but by many countries. Remember, this is a small population in tiny areas. Gaza is about the size of Washington, D.C.; finding feasible projects was not easy. They just didn’t have the capacity. They didn’t have the institutions to work through and the accountability issue made it difficult to actually go forward with a lot of projects. It reminded me of the aftermath of the Camp David Treaty when I was in Egypt. I recall once the AID Director there, at the start of the meeting saying, “Gentlemen, we have to find ways to spend $3 million per day.” I was stunned, but this was a correct statement if we were to spend the money appropriated. I would have chuckled if it wasn’t so tragic a situation. Feasibility study after feasibility study had the same conclusion: this or that project simply wasn’t feasible. Washington howled that things weren’t happening. But how could they, if the economy couldn’t absorb this shower of new funding? The flipside of this was Egyptian grousing that we promised so much and produced very little. I was always happy I never worked for AID. They were an easy target. Q: It seemed like there was a calculated Israeli campaign to weaken whatever you want to call it, the security forces of the Palestinians. A key task in the preparation for Arafat returning to the Territories, as they were called, was preparing for the Palestinians to take over their own security. The embassy in Tel Aviv, in those days, was responsible for Gaza and the consulate in Jerusalem was responsible for what we did with and in the West Bank. One of the tasks I had to do was to help coordinate the supply of equipment to the new security forces. The equipment had to be transferred from the control of European Command in Europe to Central Command in Egypt, and then brought overland to Gaza. I never did get an explanation of the economics or politics of why it didn’t come directly from Europe to Israel, then to Gaza, which would have been much quicker and cleaner. Just one military command to work with: EUCOM [U.S. European Command]. Coordinating between two military commands was like working with two empires. It required much more diplomacy than I ever imagined. The experience we had coordinating between two rivals – the Palestinians and Israelis – came in handy. In the end, it was done, and just in the nick of time…. I was down there quite a bit in Gaza and coordinating with the initial designated commander of the Palestinian security forces, Nasser Yusuf…[He] struck me as a pretty decent guy with the respect of his men. 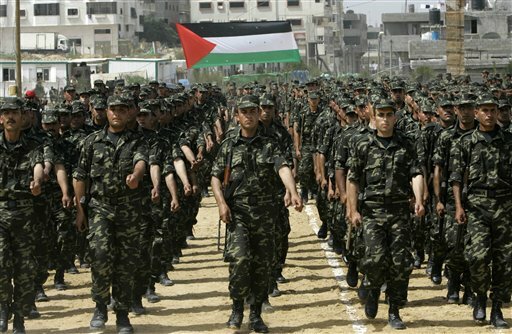 His forces, however, were in Jordan, and they never came to Gaza. What we didn’t anticipate was that Arafat was going to govern the same way he had governed in the refugee camps: divide and rule. Within a month, he had created so many different security organizations that everyone was confused. Instead of what had seemed to be a unified command under Nasser Yusuf, within a month Yusuf was virtually neutered. His authority had vanished. Arafat cronies were brought in to run separate security organizations. We needed a program to identify all the players, who played what position, who was back up. 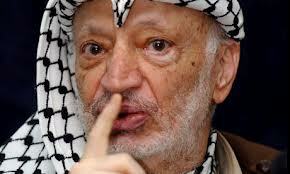 Arafat played each off the other, at times favoring one, then shifting to another. It was how he kept order in Beirut refugee camps, and he simply used that same template in the Territories. You can imagine how difficult this was for the Israelis, for us and for other donors. Arafat’s employment scheme was to place as many men as possible in the security forces, especially the police. As I recall, the numbers swelled to over 50,000. But how to pay for them? I remember clearly the priority Washington put on helping Arafat in this regard. When the time came to transfer money to them, the route was the embassy. I refused to support this program. I received several angry phone calls from Washington telling me to make it happen. I was reminded that I did not have the authority to stop this. I reminded them that my name or someone else’s at the embassy had to be on the transfers. I would not authorize this. In one of these calls, which involved a member of the peace team, I explained that I had no intention of going to jail. There was absolutely no accountability for these funds, and we had already seen one check provided by a donor nation taken within minutes to a money changer and end up in Europe. No accountability — no funds transfer. The transfer of funds was delayed as Washington scrambled to put together a program of accountability, turning this over to a private accounting firm, Coopers and Lybrand, as I recall. Arafat hated this, seeing “his money” watched so carefully. In the end, he was pleased when we bowed out and turned over to the willing Norwegians the burden of paying for Palestinian security forces. Several years later, a Norwegian official audit revealed that tens of millions of dollars could not be accounted for. The Norwegian Foreign Minister, one of the legends of the peace process, Tarye Larsen, was discredited. It was sad, but predictable. I can only imagine if we had looked the other way as he did how many Americans might have gone to jail. Another factor that caused enormous strain within the Territories was that Arafat and his cronies had not lived there for decades. They were outsiders, and this parachuted-in ruling class was deeply resented as local authorities, who had never left Gaza or the West Bank, were pushed aside. Not only did they resent being cut out, but they witnessed and suffered through enormous waste, fraud and mismanagement clearly condoned if not demanded by Arafat and his cronies. He quickly set up monopolies of key products and services, drawing even greater wealth to him and those in his favor, most of whom were returned refugees. It was deeply corrosive, and all of us knew it. I remember one time when I was with a Member of Congress and we were sitting with Rabin. The Member of Congress said, “How can you work with this guy? He is just totally untrustworthy, totally corrupt,” speaking of Arafat. A Moment in U.S. Diplomatic History Iran-Contra: Who Knew What When?